All two wheels are good! Here’s a fabric that does not discriminate between motorized and non-motorized summer fun. Called “Go by bike” it’s designed by Jessica Hogarth and is $9.25 a yard. Super scooter girl to your (decor) rescue. If you like this design, you can literally have it all over your house. Tile your bathroom with it, use it as a mousepad, etc. etc. FabergÃ© could have been a mod. This beautiful Zundapp Bella (?) with sidecar trinket box is made by hand by Objet D’Art with Austrian crystals and European Lacquers. It’s called “The Mod Squad” and is #35 in their series. Each scooter comes boxed and includes a certificate of authenticity and a gift card. It measures 3.5 x 3.2 x 3.2 inches. Cats riding scooters! Dogs riding scooters! Argyle scooters! In fact, scooters in every imaginable color combination! Make your way to Spoonflower for every quilting scooterista’s dream come true. It’s redonkulous. Thanks to Dixie K. and Miki J. for this embarassment of wealth! This was listed as a Lego set in a past eBay auction but it looks more like an HO Scale Train Set prop to me. 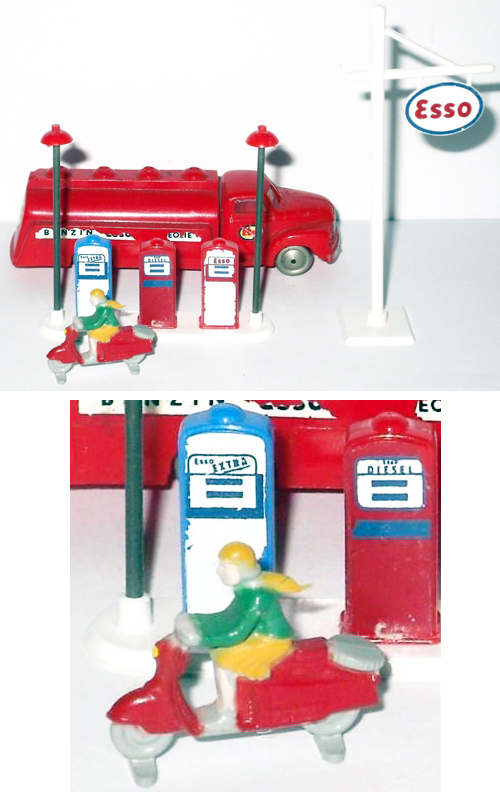 Either way it’s got great detail and ScooterSwag loves us some Esso. 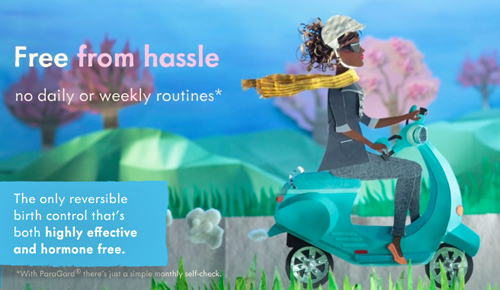 Actually this is just cute cut paper art that’s animated for a website about an IUC (IUD). And since we’ve already posted about the scooter safe vaginal cream , we couldn’t resist. ScooterSwag is hoping for floaty pens on this product too.